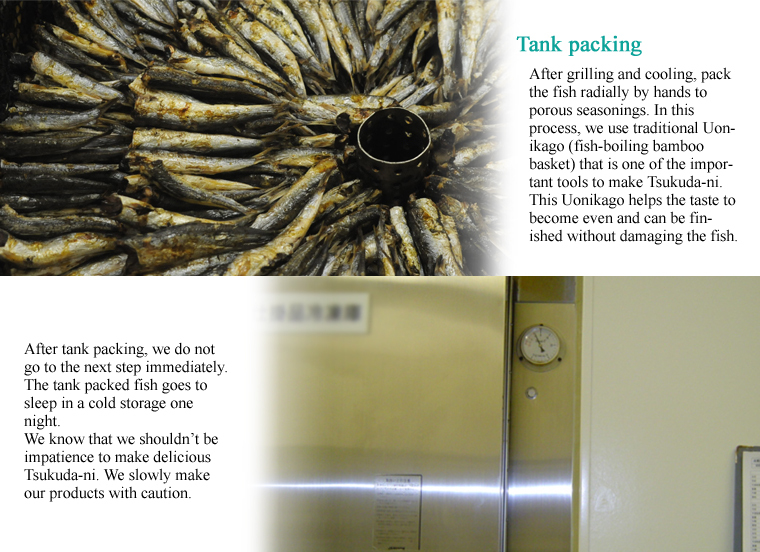 manual labor on tank packing, finishing and the selection process. 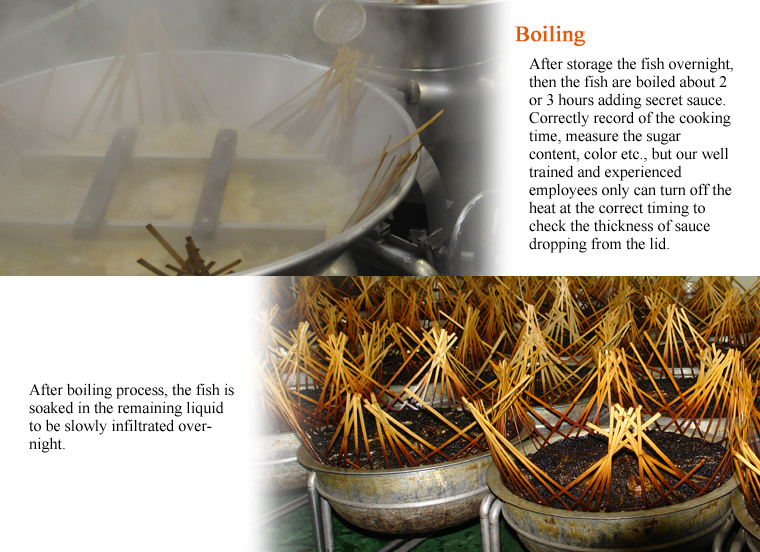 We would like to introduce you how to make Tsukuda-ni. Copyright(c)2007-2016 HIRAMATSU SEAFOODS COMPANY All Rights Reserced.